CEO of Tesla, Elon Musk, has handed over the first 30 of the company’s long-anticipated “affordable” electric car, the Model 3, to employee buyers, Reuters reported. The Model 3, which will cost USD 35,000, is a departure from Tesla’s earlier luxury electric cars and marks the first step in Musk’s strategy to turn his company into a profitable, mass-market electric car maker, Reuters said. The basic model has a range of 220 miles (350 km) on a single charge, while the longer-range version of the Model 3, retailing at USD 44,000, manages 310 miles (500 km). Speaking to reporters at the company’s Fremont, California factory on Friday 28 July, Musk said the Tesla Model 3 already has over 500,000 advance reservations. Tesla has only manufactured 50 of the vehicles so far, including 20 for testing purposes but plans to produce 500,000 next year – a six-fold increase on its 2016 production levels. A simpler Model 3 design will greatly reduce potential assembly-line problems, Musk was reported as saying. According to the company, new buyers are not likely to receive their car until the end of 2018. Musk acknowledged it would be “quite a challenge” to build the car during the early days of production: “We’re going to go through at least six months of manufacturing hell,” he was quoted as saying. 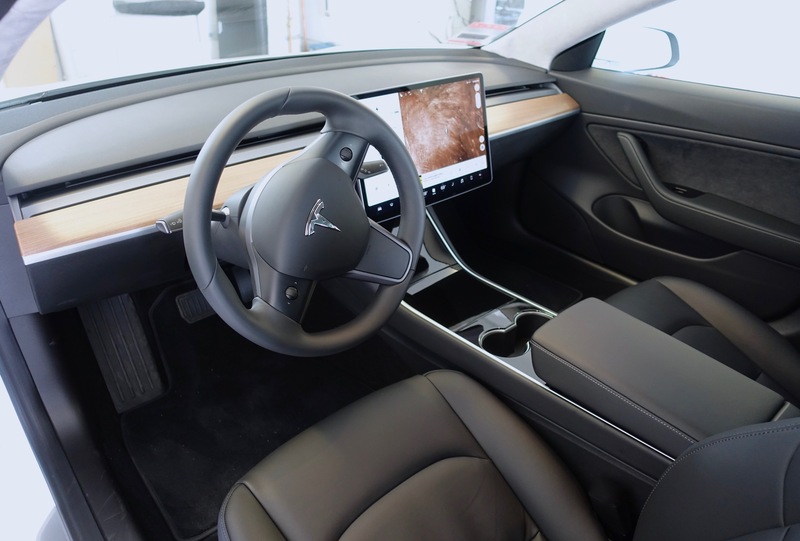 The Model 3 interior (Photo: Steve Jurvetson [CC BY 2.0] creativecommons.org). The Model 3 has been designed with a minimalist interior, including a streamlined dashboard devoid of buttons or knobs and a 15-inch touchstream display. “The Model 3 is part of Musk’s broader plan to build a clean energy and transportation company that offers electric semi-trailer trucks, rooftop solar energy systems and large-scale battery storage systems,” Reuters said. 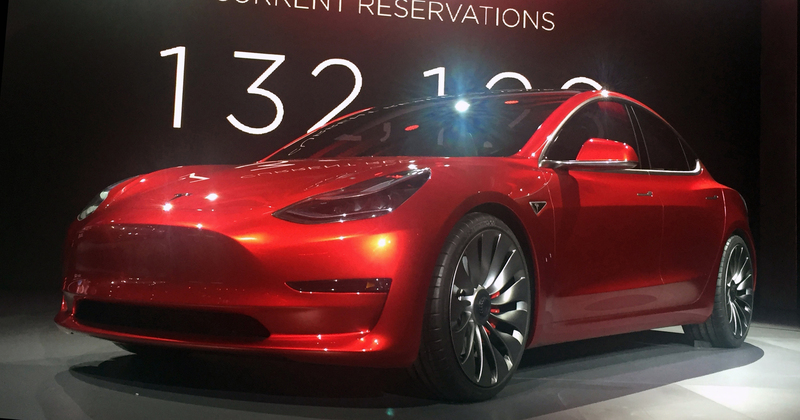 Apple analyst Gene Munster says he believes the launch of the Tesla Model 3 could be as big as the launch of the first iPhone. This entry was posted on Sunday, July 30th, 2017 at 6:32 pm and is filed under Uncategorized. You can follow any responses to this entry through the RSS 2.0 feed. You can leave a response, or trackback from your own site.